I just ran the beta version on a few Custom DLCs and noticed that it replaced all the chord repeat symbols with the actual chord. It gets pretty cluttered and hard to see on the screen. 5.2 hrs last 2 weeks. Thanks for the quick replies. I was worried that I wasn't clear in my original post, so I included two screenshots. The first time I I did the repair, I used version 1.2.6.7 of the CustomForge Song Manager. I only selected the "Repair 100% Mastery Bug" and converted about 6 files. They all seemed to lack the repeat chord symbol. I updated to the latest version of the CustomForge Song Manager (1.2.6.10) and ran the "Repair 100% Mastery Bug" with the "Add DD (if not already present)" option selected on replacements of the original files I converted. The result was the same as my first attempt, so I ran it again on the same files. Each time the 100% Mastery was reset to zero and after playing the song, I received a mastery score that reflected my actual achievement. The screen was really cluttered though, as you can see below. You have to use DDC v3.2 beta to fix this issue. You can replace the files located in the ddc folder of the RSToolkit. @Alex360 DDC 3.2 was added to the latest beta revs of CFSM and toolkit. I'm having a partial success trying to fix this. I just got the latest version of CFSM (v1.2.7.9) and ran the repair with the Add DD button selected. It did a great job fixing the songs that did not have DD. 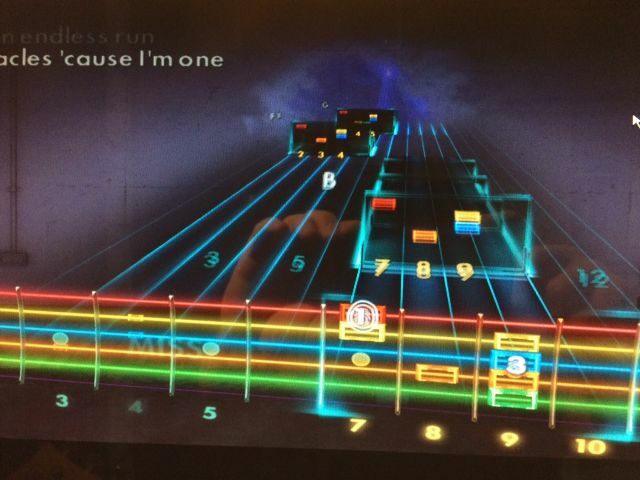 They now have DD, the 100% bug is gone, and no chord clutter problem. I'm having issues with songs that already had DD. 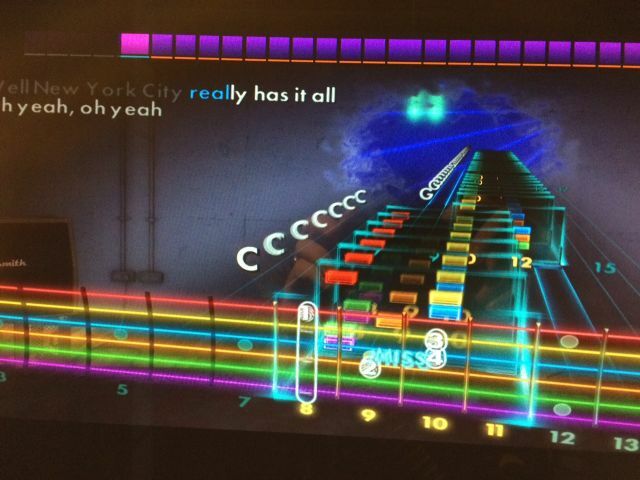 It did fix the 100% bug, but I still have the chord clutter. The current fix in CFSM works for songs that do NOT have DD. However I can't seem to fix the chord clutter issue on songs that already had DD. Thanks Chlipouni, I will give that a shot. And just to be clear, my post isn't meant to be a complaint or whine. I have huge huge appreciation for the CF devs and community. I was just hoping my feedback would be helpful to the devs as they are working on this.